This corn whiskey moonshine recipe takes the classic corn moonshine approach a little further without making it too complex and complicated. The ingredients shouldn’t be hard to source, and even the enzyme can be ordered online should you opt for using it. Using the oak chips after distilling the spirit is definitely optional. However, we’d strongly recommend going all the way since you’ll surely be surprised with what the extra effort will bring to your shine. Pour 5 gallons of water into the pot and bring to 165°F. Add 10 lbs of cracked corn, mix well, add amylase enzyme and let sit for 90 minutes. Throw away all the kernels that are left floating on top. Add sugar and stir well until sugar is completely dissolved. Use immersion chiller to cool the wort or let it cool down on its own, then transfer it to the fermenter. When the wort is at room temperature add yeast, cover the fermenter with a lid, put airlock in place. Keep the bucket at room temperature or slightly higher, in shade, let the wort ferment completely until no activity is seen in the airlock (should take about 2 weeks). Transfer the wash into the still using a siphon tube, leaving the yeast sediment and corn in the fermenter. Distill the wash as you normally would and collect all your hearts into a single jar. Add oak chips after the moonshine has cooled and let it sit a couple of days to get more color and flavor. Use a hydrometer to check the potential alcohol content before and after fermentation. You can substitute the siphon tube with a cheesecloth to strain the wash off the corn. Optionally, you can replace the amylase enzyme with 1.5 of ordinary brewers or distillers barley malt added together with cracked corn. 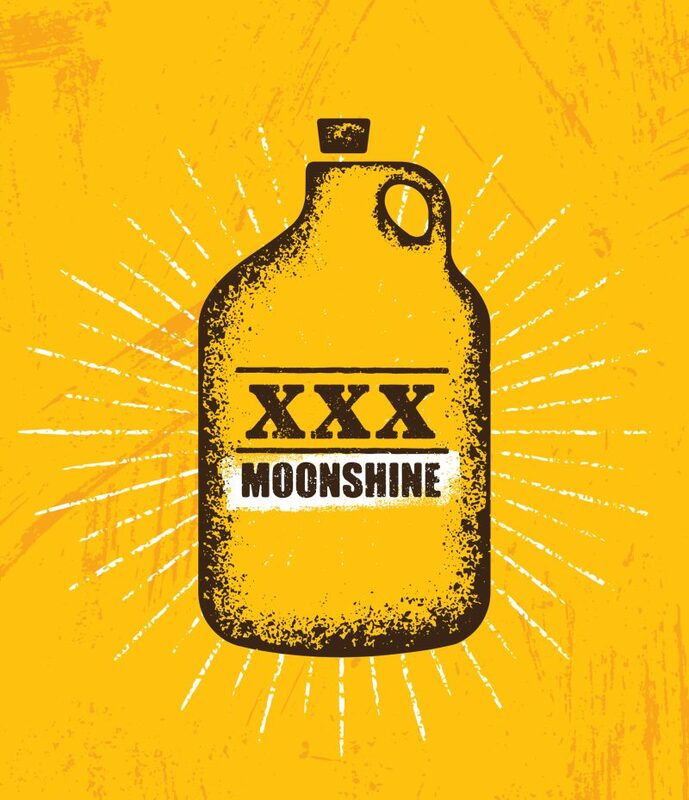 The moonshine is good to drink right after distilling and cooling without the oak chips. However, to get more flavor and complexity it’s better to age the moonshine for a couple of days.